What type of structure do you have on your mind today? Are you thinking about building a tiny living space for your children? Are you ready to build your dreams home and have a mansion built? You are probably working on a project somewhere between those two but your needs in building design services is going to be very similar. Why would you have the same needs for building a playhouse, a mansion, or your beautiful new home? Let us take a brief look at our two extremes for a moment. When you want to design an elaborate playhouse for your children what is the first critical thing you have on your mind? The first answer from most parents is safety. The second answer is fun. Safety does not happen by accident. It happens by carefully planning how a playhouse will be constructed, what materials will be used, what type of foundation the playhouse will sit on, and dozens of other little issues. There is even the question of whether you will need a building permit or not. 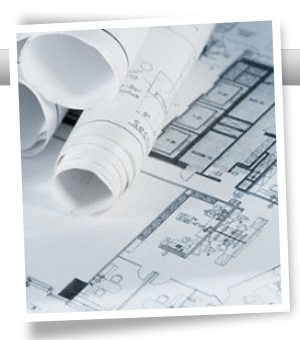 You may not need to hire a drafting service, but you will want quality plans. When you jump into building a mansion you face some of the same issues. Interestingly when asked what is the first thing which crosses their minds safety does not top the list. The number one item is almost always cost. Safety usually falls several slots further down the list. This is not because safety is not equally important. Safety is assumed. This is why working with building design services you can trust is essential when building a mansion or home. You need a service which has a proven history of building high quality structures which are safe, durable, and meet all of your other criteria. How High Is Home Beauty on Your List? Now turn to your kids and ask what is number one on their list for the playhouse. The girls are going to say pretty, beautiful, cute, or some other aesthetically descriptive word. You can expect the boy to use words like tough, cool, awesome, or some other aesthetic term which is a boy’s vision of beautiful. Your design must take these factors into consideration mixed carefully in with the safety factors. Gentlemen, you already know when you ask the woman in your life about the new home beauty is going to be very high on the list. This is not an optional item. 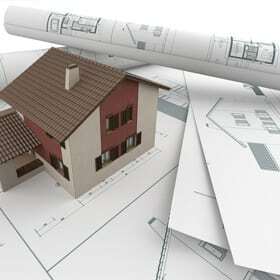 Your building designer needs to be able to listen carefully to you and your family’s visions of what they want the house to look like and combine them with regulatory requirements, safety factors, and your functional desires to create a house which looks great and provides great living comfort. Beauty does not happen by accident any more than safety does. It requires thought, planning, and execution. The trouble with many designers is they get stuck in working from preconceived notions instead of focusing on what is being said to them. When you talk to a building designer at Drafting Concepts PTY LTD of Queensland it becomes apparent very quickly they are one hundred percent focused on your ideas, your visions, and dreams. They take your vision and translate it into construction drawings which integrate all of the required elements to build a playhouse, mansion, or your home. 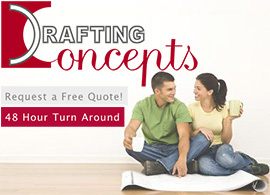 Learn more about how functional purpose, safety, and beauty can be combined to create your dreams home by having a free consultation with a building designer at Drafting Concepts PTY Ltd in Brisbane and Sunshine Coast. You will discover building design services should be an integration of technical skill and outstanding personal communication to understand your dreams and desires.